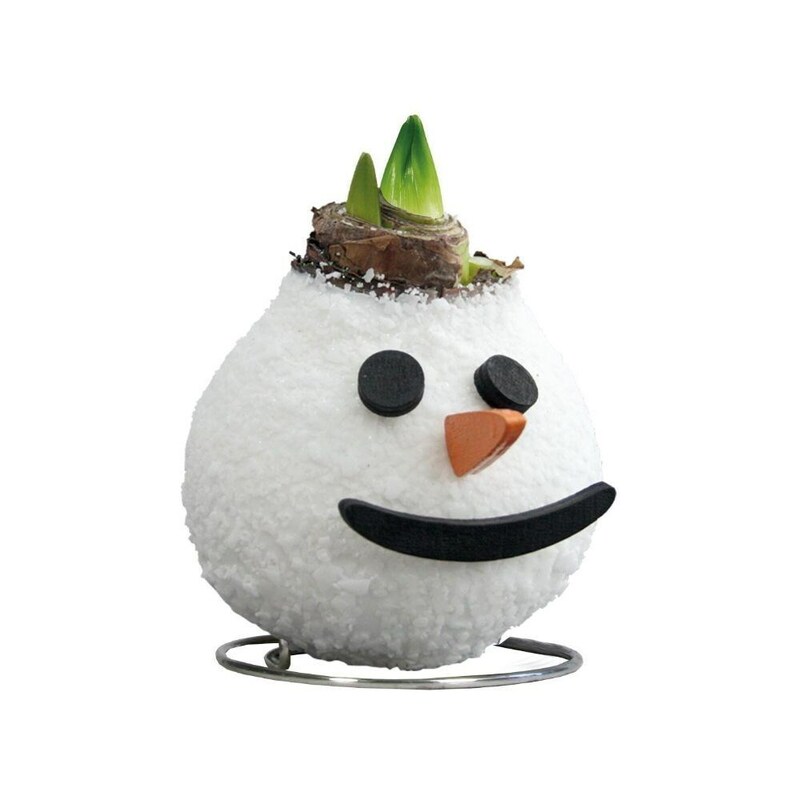 'Frosty' is an amaryllis bulb, which has been dipped in a snow-like wax coating, before being decorated with eyes, a nose and a big smile. It sits on a simple wirework stand and will never need watering, but within 3 to 6 weeks, it will go on to produce some impressive orange-red flowers on top of a stout, upright stem. General care: Avoid placing 'Frosty' next to a radiator as he will be happier in cooler conditions.